Scientists from the University of Southampton have reengineered the fundamental process of photosynthesis to power useful chemical reactions that could be used to produce biofuels, pharmaceuticals and fine chemicals. Photosynthesis is the pivotal biological reaction on the planet, providing the food we eat, the oxygen we breathe and removing CO2 from the atmosphere. Photosynthesis in plants and algae consists of two reactions, the light-reactions absorb light energy from the sun and use this to split water (H2O) into electrons, protons and oxygen and the dark-reactions which use the electrons and protons from the light reactions to 'fix' CO2 from the atmosphere into simple sugars that are the basis of the food chain. Importantly, the light reactions have a much higher capacity than the dark reactions resulting in much of the absorbed light energy being wasted as heat rather than being used to 'fix' CO2. Co-author Dr Adokiye Berepiki, a Postdoctoral Research Fellow from Ocean and Earth Sciences at the University of Southampton, said: "In our study, we used synthetic biology methods to engineer an additional enzyme in-between the light-reactions and before the dark-reactions. We have therefore 'rewired' photosynthesis such that more absorbed light is used to power useful chemical reactions. This study therefore represents an innovation whereby a range of additional valuable chemical reactions can be powered by the sun in plants and algae." In the study, published in ACS Synthetic Biology, the 'wasted' electrons were rewired to degrade the widespread environmental pollutant atrazine (a herbicide used in agriculture). Atrazine was banned from the EU over 20 years ago but is still one of the most prevalent pesticides in groundwater. The photosynthetic algae designed by the researchers may be used in the efficient bioremediation of such polluted wastewater areas. Dr Berepiki said: "By taking a synthetic biology approach - combining science, technology and engineering to facilitate and accelerate the design, manufacture and modification of genetic materials in living organisms - we rewired electrons by introducing an enzyme from a brown rat into the photosynthetic machinery. This enzyme, which was encoded by a gene that was produced de novo using chemical synthesis rather than being taken from rat, was then able to serve as an electron sink that used photosynthetic electrons to power its activity." Co-author Professor Tom Bibby, Professor of Biological Oceanography from Ocean and Earth Sciences at the University of Southampton, said: "There has been much recent research into the potential of using photosynthetic species as sources of sustainable biofuels. While promising, this potential is not yet economically feasible. 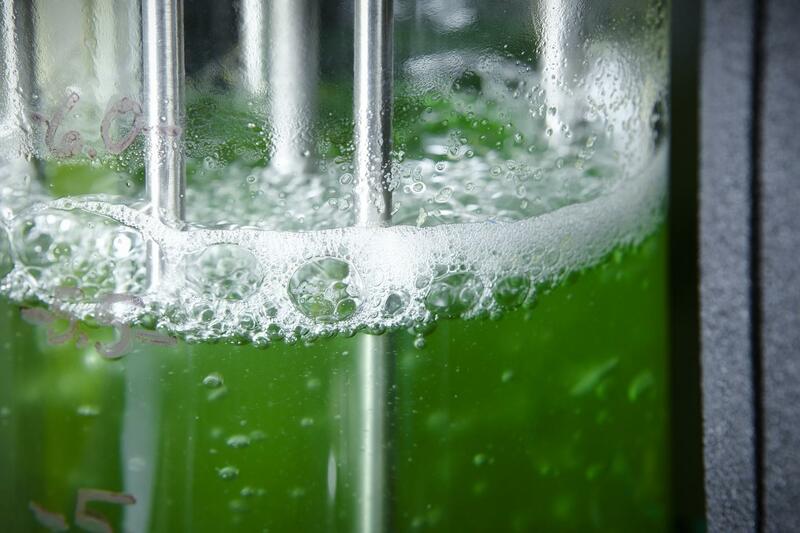 The 'added value' we have introduced into algal may therefore be a critical step toward the commercial realisation of using photosynthetic species to generate 'biofuels' that may one day replace our current dependence on fossil fuels."